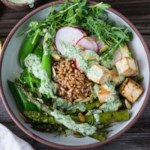 The vibrant veggies in this colorful bowl pack in the nutrients with 14 grams of fiber and 17 grams of protein to leave you full and satisfied. 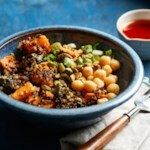 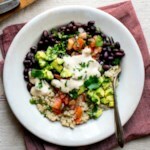 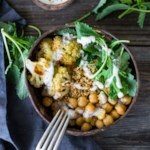 Drizzle a vegan tahini sauce over the mix of quinoa, lentils and vegetables for a flavorful packable lunch or easy dinner. 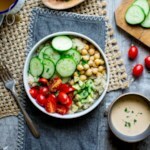 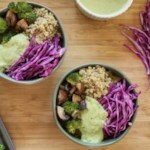 "How to Make a Rainbow Buddha Bowl"